The area was a good defensive position on a rocky, tree-covered ridge overlooking the creek bottom with nothing but prairie to the front. Once again Opoethleyohola prepared to give battle. Fearing Opoethleyohola’s successful resistance would inspire more desertions and perhaps more reinforcements for old Gouge, Cooper called on Gen. Ben McCulloch for reinforcements. McCulloch was away in Richmond, but Col. James McQueen McIntosh (not related to the Creek McIntosh brothers) and the Second Arkansas Mounted Rifles, Eleventh Texas Cavalry, Sixth Texas Cavalry, Third Texas Cavalry, Whitfield’s Texas Cavalry, and Bennett’s Independent Company of Texas Cavalry, to Park’s Store on Shoal Creek where they made plans to rid the Indian Territory of Opoethleyohola once and for all. They moved out in two columns. Cooper, reinforced by Whitefield’s Texans, moved northwest along the Arkansas River, while McIntosh traveled north along the Verdigris River. Cooper hoped to get to the rear of the enemy, and McIntosh planned a frontal assault. By Christmas Day they had located Gouge’s camp and spent the miserably cold day preparing their weapons for battle. The next morning McIntosh’s column crossed the icy creek only to be met by a hail of gunfire and arrows. At the battle at Chustenahlah, Col. James M. McIntosh swept over the resistance each time Opoethleyohola’s band tried to make a stand and pursued and killed the scattering men. The Confederates captured 160 women and children, twenty slaves and freedmen (but no warriors), livestock, horses, wagons, and thousands of dogs, along with a large portion of foodstuffs. Colonel Cooper had not been able to rendezvous with McIntosh, but Col. 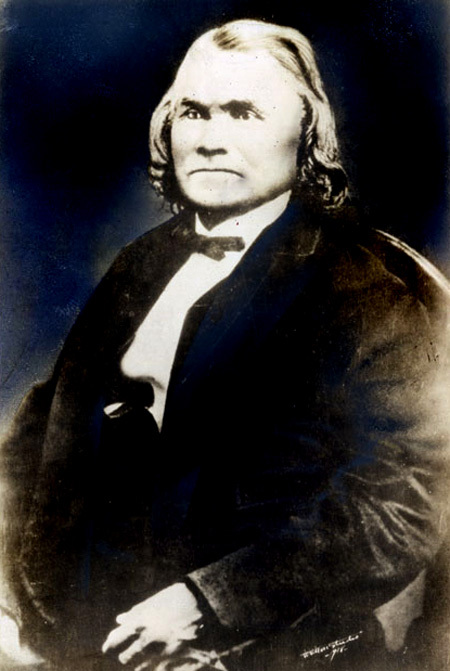 Stand Watie and his Cherokee Cavalry appeared on the scene just as the battle ended, having moved out of Fort Wayne. He would be the lead element in the follow-up action. Opoethleyohola had to abandon his camp in a hurry, and many of his warriors scattered to the wind. His band then had to march north to Kansas without its necessary supplies. Opoethleyohola left a rear guard to slow the pursuing Confederates, but pushed forward, often cutting loose wagons from his teams. The rear guard lost more men when it skirmished some with Watie’s Cherokees, but Watie’s men captured an additional seventy women and children and a few pack horses and left an additional eleven warriors dead on the field of battle, while not losing one man. Cooper and Watie then pursued the stragglers to the Kansas border, capturing an additional 150 women and children and killing another six men in a fierce storm of snow and sleet. Cooper then followed Colonel McIntosh to Fort Gibson where McIntosh re-supplied before heading back to Arkansas. Opothleyohola and his starving, half-naked stragglers pushed on to Fort Scott, Kansas, where they sought refuge. The Indian Territory was effectively under Confederate control. The sympathizers, friends, and family members of Opoethleyohola who had remained in Indian Territory would face persecution in the months to come. Description: Confederate troops had undertaken a campaign to subdue the Native American Union sympathizers in Indian Territory and consolidate control. 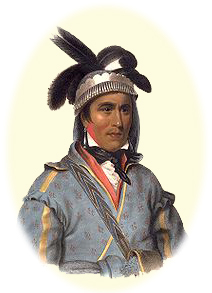 They had attacked Chief Opothleyahola’s band of Creeks and Seminoles earlier at Round Mountain and Chusto-Talasah. Now, they wanted to finish them off by assaulting them in their camp at Chustenahlah in a well-protected cove on Battle Creek. Col. James McQueen McIntosh and Col. Douglas H. Cooper, commanding the Indian Department, planned a combined attack with each of their columns moving on the camp from different directions. McIntosh left Fort Gibson on December 22, with 1,380 men. On the 25th, he was informed that Cooper’s force could not join for a while, but he decided to attack the next day, despite being outnumbered. McIntosh attacked the camp at noon on the 26th. The Union defenders were secluded in the underbrush along the slope of a rugged hill, but as the Confederate attack came forward, the Native Americans began to fall back, taking cover for a while and then moving back. The retreat became a rout as the Federals reached their camp. They attempted to make a stand there but were forced away again. The survivors fled; many went all the way to Kansas where they found loyal Unionists. Chief Opothleyahola’s band of Creeks and Seminoles mounted no resistance again. Excerpt from Col. Douglas H. Cooper’s January 20, 1862 report from Fort Gibson, I.T. My supply of ammunition being nearly exhausted, and having on my arrival at Van’s, the night of December 10, learned that a body of Cherokees from fort Gibson, about 100, who passed up the previous evening, had put on the shuck badge (Hopoeithleyohola’s) and gone direct to his camp at Shoal Creek, I was impressed with the necessity of placing the force under my command as soon as possible in position to counteract any movement among the people in aid of Hopoeithleyohola and his Northern allies. Colonel Drew, with his train, and Colonel Sims, with the Fourth Texas Cavalry, were ordered on the 11th direct to Fort Gibson, and with the creek and Choctaw regiment I moved by way of Tulsey Town down the Arkansas. An express was at the same time sent to col. James McIntosh, at Van Buren, with an account of the battle at Chusto-Talasah, with a request that he would send some white troops into the Cherokee country, in order that the moral effect of their presence might repress any outbreak. 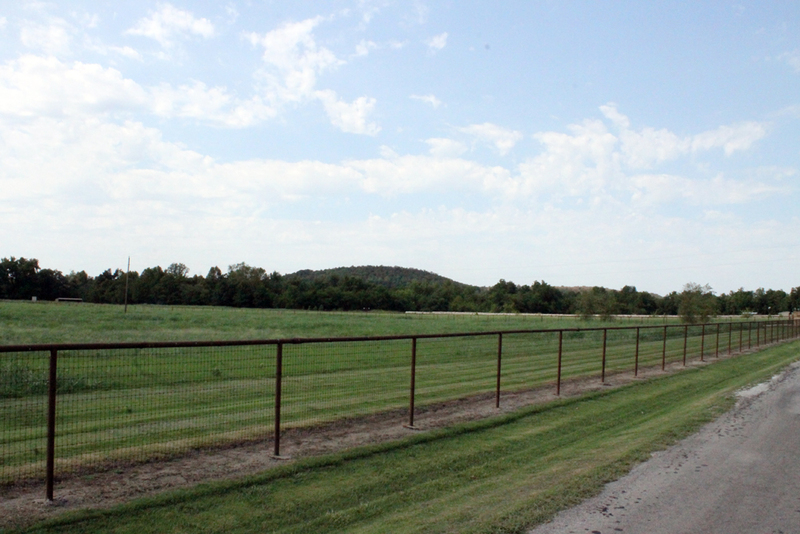 We arrived at Choska, in the Creek Nation, 20 miles above Fort Gibson, on the 13th. Leaving the main body of the command there, I hastened with Welch’s squadron (Companies I and K, of the Choctaw and Chickasaw regiment) and encamped on Grand River, opposite Fort Gibson. Colonel Sims had already arrived, and was encamped at Fort Gibson. The arrival of Colonel Drew with the account of our victory over Hopoeithleyohola, the presence of Colonel Sims’ regiment, and the knowledge of the proximity of the forces at Choska had already suppressed outward show of sympathy with the enemy. The next day I received a letter from Col. James McIntosh, dated Van Buren, December 14, 1861, in which he advised that he had just ordered Colonel Young’s regiment, Whitfield’s battalion, and five companies of Greer’s regiment to report to me at Fort Gibson or wherever I might be found; that he had ordered Capt. Con. Rea, ordnance officer at Fort smith, to honor my requisition for ammunition, and Major Clark to furnish supplies immediately, and that he hoped with this additional force I would be able to march against Hopoeithleyohola with certainty of success & c. an express was immediately started back to Fort Smith with a requisition for ammunition. I remained still at Fort Gibson to see the Principle Chief of the Cherokees, Hon. 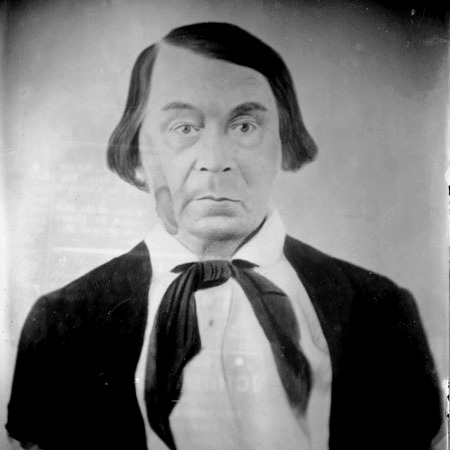 John Ross, and confer with him on the state of affairs among the Cherokees. On the 19th a letter was received from Lieutenant-Colonel Diamond, commanding Colonel Young’s regiment, reporting that he would reach Fort Gibson on the 20th. On the evening of that day I crossed over to Fort Gibson, for the purpose of addressing the Cherokees, and in conjunction with the chief, on the existing state of affairs among them, and greatly to my surprise found Col. James McIntosh, who announced his intention of taking the field with some 2,000 troops against Hopoeithleyohola. Major Whitfield, with his battalion, crossed Grand river early next morning and reported to me. Neither Colonel Young’s regiment nor any companies from Colonel Greer’s regiment ever did so (I presume the order previously given was received), but formed part of the separate column Colonel McIntosh had determined to put in motion. No objection was made by me to the change in Colonel McIntosh’s intentions. On the contrary, I afforded all the information in my possession as to the situation of Hopoeithleyohola’s camp and the surrounding country, and it was understood we were to co-operate, moving the one up the Arkansas and the other up the Verdigris. Colonel McIntosh also promised me a supply of ammunition from what he had brought along. On the 20th, with major Whitfield’s battalion and Captain Welch’s squadron, I returned to Choska, after entering into a satisfactory arrangement with Colonel Drew and the chief in regard to the reorganization of Colonel Drew’s regiment. Colonel Drew’s regiment, when reorganized, was ordered to join me at Choska, and also the available force of Colonel Sims’ regiment. December 21, I wrote to Col. James McIntosh, to know when he would be ready and for ammunition; in answer to which, on the same day, he fixed upon the next at 12 o’clock for the commencement of his march with the largest part of his forces, and the next morning, the 23d, for the departure of the rest; their destination Mrs. McNair’s on the Verdigris, distance from Hopoeithleyohola’s camp about 25 miles¸ stating that he would reach Mrs. McNair’s on the morning of the 24th, expressing the opinion that it would not be well to remain at Mrs. McNair’s more than one day, and that he would like to see and concert measures with me on the evening of the 24th, and proposing to meet me at any point I might designate; that it was his design to co-operate with me in any measure for the welfare of the country, & c. This I was then satisfied his precipitancy would render impracticable; nevertheless, having on the night of the 23d received at Choska the promised ammunition, I marched the next day for Tulsey Town, and informed Colonel McIntosh by letter that it would be impossible to reach that place before the 26th; that Col. Stand Watie was ordered to be at Mrs. McNair’s, on the Verdigris, December 25; that his (Colonel McIntosh’s) well-appointed command was too fast for mine, but if Col. Stand Watie joined him I supposed he would have force enough. On my arrival at Tulsey Town on the evening of the 26th a letter reached me by express from Col. Stand Watie, dated December 25, at Mingo Creek (which is some 12 miles west of Mrs. McNair’s in the direction of Hopoeithleyohola’s camp), informing me that Colonel McIntosh had gone on, but as he was only 6 miles in advance he hoped to overtake him. Colonel McIntosh pushed on without waiting even for Col. Stand Watie, and attacked Hopoeithleyohola. Col. Stand Watie, however, followed the enemy the next day, overtook him, some 300 strong, had a running fight, and killed 15 of the enemy, without a loss of a man. Hopoeithleyohola, it is said, had gone on with about 200 warriors and made his escape. I also heard on the morning of the 27th that Colonel McIntosh had attacked and dispersed the Indians. It was therefore useless for me to attempt to reach the rear of the enemy by way of the Cherokee settlement in the Big Bend of the Arkansas. The only chance to effect any good was to pursue the enemy by the nearest route. Accordingly I marched for Parks’, Shoal Creek, and there, on the 28th, met Colonel McIntosh returning to winter quarters. On the 29th I moved up Bird Creek and camped on the Osage trail to the Big Bend, having discovered during the day foot-prints and other evidences that the enemy had gone up Bird Creek. The next morning early we struck a plain trail, and followed it a little west of north for two days. On the second day (the 31st) a party of Cherokees, consisting of 3 men and 2 women, were intercepted on the road from Key’s settlement, on Caney, to the Big Bend, 1 of whom was killed in single combat by Capt. W. R. McIntosh, of the Creek regiment; 2 made their escape; the women were taken prisoners. Again following the trail, we overtook several Seminole women and children, from whom we learned that Hopoeithleyohola had gone on two days in advance. Having followed the trail nearly if not quite to the Kansas line, we turned across towards the Arkansas, and intercepted several parties of Creeks, Osages, and Cherokees on their way to Walnut Creek, Kansas. After an exciting chase by the advance guard, under Maj. N.W. Townes, of the Fourth [Ninth] Texas Cavalry, and Major Whitfield’s battalion, several of the enemy were killed and a large number of prisoners taken, mostly women and children. 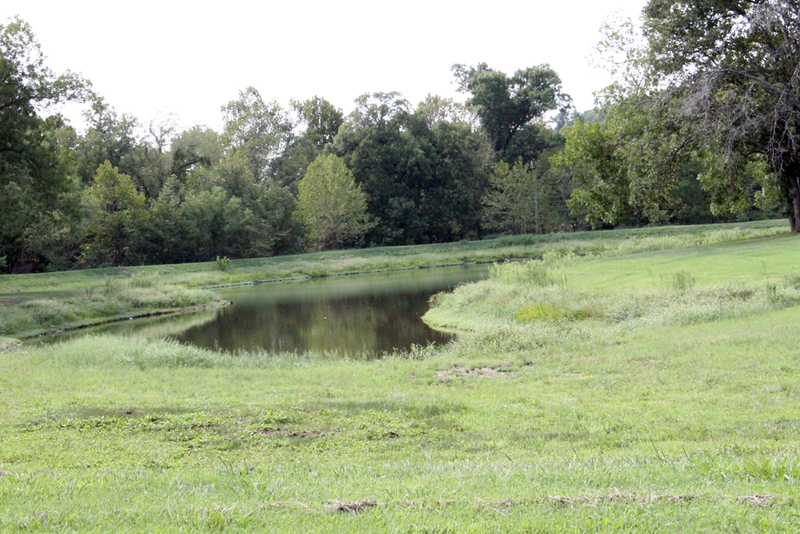 A few cattle were also captured by the Creeks. The weather was exceedingly cold; sleet fell in considerable quantities during the day, and there being every appearance of a snow-storm, we pushed for the timber. 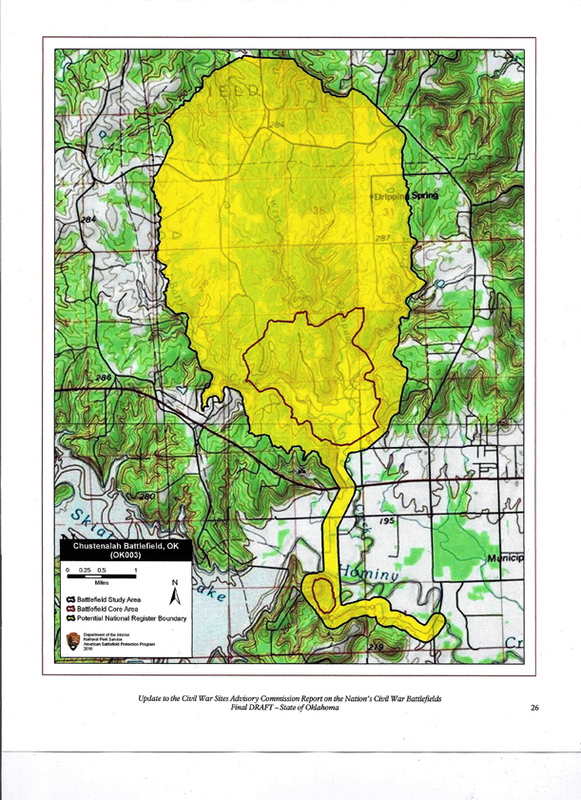 Several new trails were discovered during the evening, all leading in the direction of Walnut Creek. The next morning, finding the earth covered with sleet, I resolved to return to my train, and marched the main body of my command down the Arkansas. Sending Colonel Drew with his regiment to examine a wagon-trail we had discovered the evening previous, he found a small camp of Cherokees, which he broke up, wounded 1 man and taking several prisoners. Late in the evening of the same day the advance guard discovered an encampment of Creeks directly under a rocky, precipitous bluff which overhung the Arkansas River, and by rapidly pushing down the bluff and into the river we were enabled to charge the camp and break it up, killing 1 man and taking 21 prisoners, women and children. Several men made their escape across the river. Turning to the top of the bluff we encamped for the night, without food for ourselves or horses. The next day we reached Skia Tooka’s settlement, in the Big Bend, where an abundance of meat and some corn was obtained. Next day reached Tulsey town, by a forced march, where we found our train. This fatigue scout of seven days, embracing the entire country lately occupied by Hopoeithleyohola’s forces, accomplished over an exceedingly rough and bleak country, half the time without provisions, the weather very cold (during which 1 man was frozen to death), was endured with great fortitude by the officers and men under my command. Its results were 6 of the enemy killed and 150 prisoners taken, mostly women and children, the total dispersing in the direction of Walnut Creek, Kansas, of Hopoeithleyohola’s forces and people, thus securing the repose of the frontier for the winter. It also demonstrated that the capture of the whole of those who remained on Shoal Creek up to the 26th of December, including Hopoeithleyohola himself, could have been easily effected had Col. James McIntosh waited until the forces under my command reached a position in the rear of the enemy, or even if Col. Stand Watie had been sent up Delaware Creek or up Bird Creek and thence to the rear of Hopoeithleyohola’s position, the same result would have been attained and the machinations of the arch old traitor forever ended. The trails on Bird Creeks and on the Arkansas also showed that large numbers of Indians had descended to Hopoeithleyohola’s camp before the battle on Bird Creek of December 9, and that still larger numbers had returned up those two streams before the battle on Shoal Creek of December 26. It was also apparent that not more than 1,000 had gone off immediately after that fight. Prisoners of intelligence put the number at 500 warriors. This report has been long delayed, but the apparent neglect will, it is hoped, be justified when it is considered by the Department that we have been constantly in the field on active service since the events reported until within the past two weeks, during which the placing of the troops in winter quarters has engaged my time and attention. Colonel, C.S. Army, Commanding Indian Department. Secretary of War, Richmond, Va.
Report of Col. James McIntosh, Second Arkansas Mounted Rifles, commanding division, of engagement at Chustenahlah, Cherokee Nation, with letters found in Hopoeithleyohola’s camp. 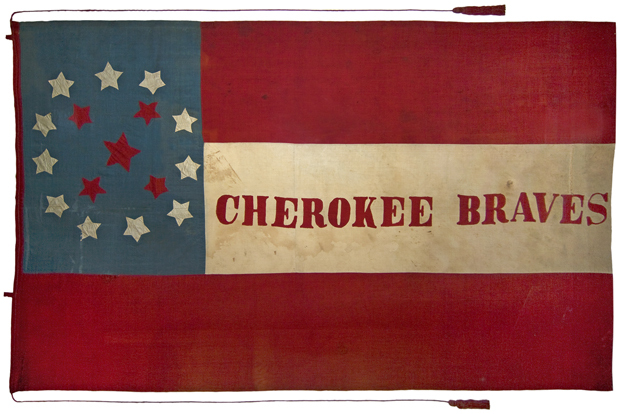 Before entering upon the details of the battle it is necessary for me to state that I entered the Cherokee Nation with a portion of my division upon the representation of Colonel Cooper, commanding the Indian Department, calling upon me for additional force. This call was based upon the hostile stand taken by the Creek chief Hopoeithleyohola and the disaffection which has sprung up in one of the Cherokee regiments. I hastened to Fort Gibson, with 1,600 men, and had an interview with Colonel Cooper, and entered into arrangements for mutual co-operation. The plan proposed was that Colonel Cooper, with his force strengthened by major Whitfield’s battalion, should move up the Arkansas River and endeavor to get in the rear of Hopoeithleyohola’s position on one of the tributaries of the Verdigris River, near the Big Bend of the Arkansas, while my force should march up the Verdigris River opposite the position held by the enemy, and then move directly upon him. On account of the scarcity of forage it was mutually determined that either force should attack the enemy on sight. I left Fort Gibson at 12 m. on the 22d ultimo with the following force: five companies of the South Kansas-Texas Regiment, commanded by Lieutenant-Colonel Lane; the available strength of the Sixth Regiment of Texas Cavalry, under Lieutenant-Colonel Griffith; seven companies of the Third [Eleventh] Regiment of Texas Cavalry, commanded by Colonel Young; four companies of my own regiment, Second Arkansas Mounted Riflemen, under Captain Gipson; and Captain Bennett’s company of Texans attached to the headquarters of the division. This force amounted to 1,380 men. On the evening of the 25th ultimo a part of the enemy’s force appeared in sight immediately after our arrival in camp. A regiment was sent to observe them. I soon became satisfied that this party was endeavoring to lead us on a fruitless chase. I therefore restrained my impatient men and ordered them back to camp. 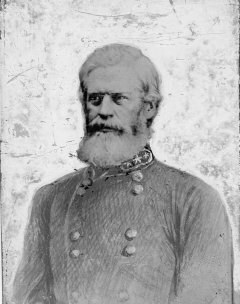 During the evening an express reached me from Colonel Cooper, with the intelligence that it would probably be two or three days before he could make the preconcerted movement, on account of the desertion of his teamsters, and generously stated that if I found it necessary to advance he would give me all the assistance in his power. From this point, knowing it was impossible to move my train farther, I ordered it to remain in charge of Captain Elstner, acting brigade quartermaster, with a guard of 100 men. With four days’ cooked rations I left camp early on the morning of the 26th, and moved cautiously toward the stronghold of the enemy among the mountains running back into the Big Bend of the Arkansas. Lieutenant-Colonel Lane, with his regiment, moved in advance. A company of his regiment, under Captain Short, was thrown forward as an advance guard, with orders to throw out flankers well to the right and left. Toward 12 m. we approached Shoal Creek, a tributary of the Verdigris. As soon as Captain Short had crossed the stream a heavy and continuous firing was opened upon him. The company gallantly maintained its position. I immediately ordered Lieutenant-Colonel Griffith, with his regiment, to move upon the right, and Colonel Young on the left. 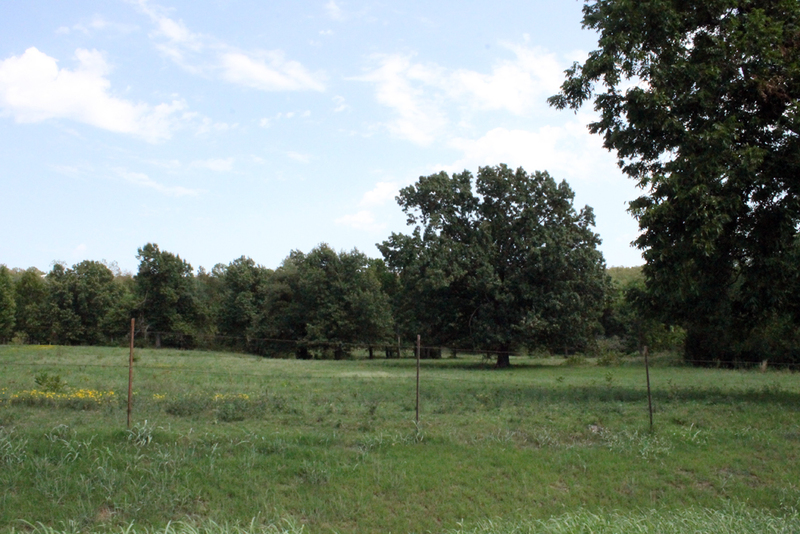 The center, composed of Lieutenant-Colonel Lane’s regiment, Captain Bennett’s company, and the detachment of the Second Regiment of Arkansas Mounted Riflemen, then moved forward and crossed the stream in the face of the enemy in large numbers posted to the right on a high and rugged hill, with its side covered with oak trees. The enemy continued their fire upon us. Colonel Young promptly crossed the stream and formed upon the left of the center, which was already in line of battle. Lieutenant-Colonel Griffith, with his regiment, was ordered to march up the stream, which flowed at the base of the hill on which the enemy was posted, and, after coming opposite their left flank to dismount, cross the stream, and attack him in the flank. All these orders were promptly and efficiently executed, and the whole force ready for action. The enemy was in a very strong position, and from it observed our actions, in happy innocence of the gallant resolve which animated the hearts of those in the valley below them. The Seminoles, under the celebrated chief Halek Tustenuggee, were in front on foot, posted behind the trees and rocks, while others were in line near the summit of the hill. Part of the Chustenahlah battlefield as it is today. Note the slope of the hill in the distance. Hopoeithleyohola’s Creeks were beyond, on horseback. A few representatives of other tribes were also in the battle. The whole force was estimated at 1,700. Between the rough and rugged side of the hill a space of 200 or 300 yards intervened of open ground. Each tree on the hill-side screened a stalwart warrior. It seemed a desperate undertaking to charge a position which appeared almost inaccessible, but the order to charge to the top of the hill met a responsive feeling from each gallant heart in the line, and at 12 m. the charge was sounded, one wild yell from a thousand throats burst upon the air, and the living mass hurled itself upon the foe. The sharp report of the rifle came from every tree and rock, but on our brave men rushed, nor stopped until the summit of the hill was gained and we were mingled with the enemy. The South Kansas-Texas regiment, led by those gallant officers Colonel Lane and Major Chilton, breasted itself for the highest point of the hill, and rushed over its rugged side with the irresistible force of a tornado, and swept everything before it. The brave Major Chilton, while approaching the summit of the hill, received a severe wound in the head, but with unabated vigor continued in the fight. Captain Bennett, with his company and the detachment of the Second Regiment Arkansas Mounted Riflemen, under Captain Gipson, gallantly charged side by side. Captain Gipson was ordered to dismount his command and move into a thicket into which he had driven a portion of the enemy, which he did promptly and with great execution. After charging some distance on the extreme left, the gallant Colonel Young, observing that the enemy were moving to the more rugged part of the field of battle on the right, with ready foresight rapidly moved his regiment to that portion of the field, and succeeded in cutting off many of the enemy. Lieutenant-Colonel Griffith, having obeyed the first order given him, observing the enemy flying from the hill, rapidly mounted his command, and moved forward up the stream, crossed it some distance above, and gallantly encountered the enemy, who had made a stand near their principal encampment. The enemy by this time were much scattered and had retreated to the rocky gorges amid the deep recesses of the mountains, where they were pursued by our victorious troops and routed in every instance with great loss. They endeavored to make a stand at their encampment, but their efforts were ineffectual, and we were soon in the midst of it. Property of every description was scattered around. The battle lasted until 4 o’clock, when the firing gradually ceased, and we remained victors in the center of Hopoeithleyohola’s camp. The loss sustained by the enemy was very severe. Their killed amounted to upwards of 250. Our loss was 8 killed and 32 wounded. The brave and gallant Lieutenant Fitzhue was shot in the head, and fell while gallantly leading his company. Capt. J.D. Young, of Young’s regiment, and Lieutenant Durham, of the South Kansas-Texas Regiment, were both wounded while in the thick of the battle. We captured 160 women and children, 20 negroes, 30 wagons, 70 yoke of oxen, about 500 Indian horses, several hundred head of cattle, 100 sheep, and a great quantity of property of much value to the enemy. The stronghold of Hopoeithleyohola was completely broken up, and his force scattered in every direction, destitute of the simplest elements of subsistence. At 4 o’clock the rally was sounded, and the different commands went into camp on the battle-field. The dead and wounded were collected and cared for. The officers of the medical department of the different regiments deserve much credit for their promptness in attending to the wounded. A party of Stand Watie’s regiment of Cherokees, numbering 300, under the command of the colonel, although under my orders, came up just as the battle terminated. This regiment had been ordered to join me from its station on Grand River. It was no fault of its commander that it did not reach us sooner. Every effort on his part was made in order to reach us in time. At early dawn on the day after the battle I again left camp in pursuit of the flying enemy. After a hot pursuit of 25 miles we overtook 2 wagons, which were captured and burned. At this moment sharp firing was heard upon the left, and a messenger came from Col. Stand Watie with the report that he was engaged with the enemy. I immediately moved in the direction, and upon our arrival I ascertained that Colonel Watie had overtaken a number of the enemy and had gallantly charged them. Major Boudinot, commanding the left flank of the regiment, had rushed into a deep ravine and driven the enemy from it. In the skirmish 15 men of the enemy were killed and a number of women and children taken. Throughout our rapid march – sometimes on ground covered with snow and at others facing the chilly blasts from the north – the greatest enthusiasm prevailed in anticipation of the coming struggle, and at all times during the march and on the battle field every officer and soldier of the brigade nobly did his duty, and it is with heartfelt pride that I bring them to the notice of the Department. The charge at the commencement of the battle was splendid; none more gallant was ever made. Individual acts of daring and hand-to-hand encounters were of frequent occurrence during the day, but it would be impossible to enumerate them. I therefore refer the Department to the reports of regimental and detachment commanders, herewith transmitted. To Captain Elstner, of the Second Regiment Arkansas Mounted Riflemen, who acted as brigade quartermaster and commissary, m y thanks are due for the efficient and able manner in which he conducted the affairs of his department. To my personal staff I am indebted for much valuable service. Both Mr. Frank C. Armstrong and Mr. James S. Vann, my volunteer aides-de-camp, went gallantly into the fight, and bore themselves with great coolness and courage. Lieut. G.A. Thornton, the acting assistant adjutant-general, was also active and efficient in carrying various orders, and deserves great credit for his coolness during the battle. Casualties – Killed 9; wounded, 40. Battle of Chustenahlah, December 26, 1861. GENERAL: I have the honor to transmit the inclosed reports of regimental and detachment commanders of the battle of Chustenahlah, Cherokee Nation, fought on the 26th ultimo also copies of letters from Kansas to the Indians. These letters were found in Hopoeithleyohola’s camp. Adjutant-General, C.S. Army, Richmond, Va. Copies of letters taken in Hopoeithleyohola’s camp. BROTHER: Your letter by Micco Hutka is received. You will send a delegation of your best men to meet the commissioner of the United States Government in Kansas. I am authorized to inform you that the President will not forget you. Our Army will soon go South, and those of your people who are true and loyal to the Government will be treated as friends. Your rights to property will be respected. The commissioners from the Confederate States have deceived you. They have two tongues. They wanted to get the Indians to fight, and they would rob and plunder you if they can get you into trouble. But the President is still alive. His soldiers will soon drive these men who have violated your homes from the land they have treacherously entered. When your delegates return to you they will be able to inform you when and where your moneys will be paid. Those who stole your orphan funds will be punished, and you will learn that the people who are true to the Government which so long protected you are your friends. BARNSVILLE, KANS., September 11, 1861. FRIENDS AND BROTHERS: The commissioners of the United States would like to meet delegations from your nations at the headquarters of the Kansas brigade, where they will confer with you. The Indians who are true to the Government will always and everywhere be treated as friends by her armies. Your rights will be held sacred; you will be protected in person and property. It is only over the enemies of government and law that an avenging hand will be raised. FRIEND AND BROTHER: It is the wish of the commissioner of the United States Government that you either come to Kansas with your friends the Seminoles or send two or three of your best braves. We also want the Keechies, Ionies, Cadoes, and the Comanches to send some of their men to meet and have a talk with the commissioners of your Great Father at Washington. His soldiers are as swift as the antelope and brave as the mountain bear, and they are your friends and brothers. They will give you powder and lead. They will fight by your sides. Your friend Black Beaver will meet you here, and we will drive away the bad men who entered your company last spring. The Texans have killed the Wichitas; we will punish the Texans. Come with your friends the Seminoles. Commissioner for the U.S. Government. Chustenahlah as it is today. This was photo was taken in the Summer of 2011. The battle was fought the day after Christmas in 1861 in the bitter cold. SIR: I have the honor to report the action of my regiment in the engagement of the 26th of December. I took up my position on the left, according to your instructions, at the commencement of the action. I remained there until the woods were on fire, and being satisfied that the enemy did not intend an attack on our left, I moved my regiment in the direction of the mountains, on the right. On moving up the first mountain I passed Major Chilton, of Colonel Greer’s regiment, who was wounded in the head, and learning from him the direction the enemy had taken, I moved my regiment in an oblique direction through the mountains, where, after going some 2 miles, we came up with the enemy strongly posted among the rocks and timber. We immediately charged them, carrying everything before us. After this the enemy, being completely routed, ran in different directions. My regiment then pursued them in detachment of companies, keeping up a running fight until 4 o’clock in the afternoon. The regiment was then rallied, and we proceeded to gather up the killed and wounded, which we succeeded in doing, and reached camp a little after dark. My regiment killed 211, viz: By the staff, 3; a detachment of 36 men from the companies of Captains Twitty, Reeves, and Young, commanded by Capt. J.D. Young, killed 34; Captain Harman’s company killed 16; Captain Burk’s company killed 30; Captain Nicholson’s company killed 16; Captain Bound’s company killed 26; Captain Featherston’s company killed 10; Captain Hill’s company killed 26; Captain Wallace’s company, 50. Total killed, 211. Our loss killed on the field was 1 private, William Franklin, Capt. Harman’s company; mortally wounded, Sergt. W. H. H. Addington, of Captain Young’s detachment, and W. S. Proctor, of Captain Wallis’ company; and J. N. Robinson, of Captain Wallis’ company, severely wounded, left arm broken; slightly wounded, Capt. J. D. Young, in the thigh, and Benjamin Clark, private in Captain Featherston’s company, wounded in the leg. Total killed and wounded, 6. In Captain Nicholson’s company 3 horses shot, and in Captain Harman’s company 3 horses shot. Captain Featherston’s company lost —; Captain Hill’s, 1 killed. In Captain Wallis’ company 1 horse killed and 1 disabled. In Captain Burk’s company 1 horse lost. We took a great many women, children, and negroes prisoners; also a number of horses and cattle, which were turned over, by your order, to Captain Gipson, of the Arkansas regiment. In conclusion, I am proud to say that both officers and men of my regiment behaved throughout the engagement as became soldiers and Texans. Report of Lieut. 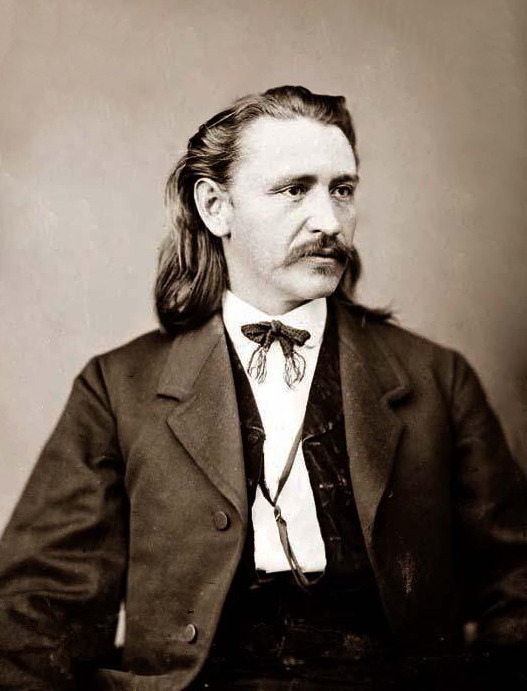 Col. John S. Griffith, Sixth Regiment Texas Cavalry, of engagement at Chustenahlah, Cherokee Nation. Camp Hominy Creek, Cherokee Nation, December 27, 1861. COLONEL: On the 26th instant, at 12 m., I was ordered by you to move my command up on the right of and parallel with Colonel Lane’s command. This executed brought me to Hominy Creek, when I was further ordered to dismount my men and form a line. When Colonel Lane made his gallant charge on the enemy I ordered my men to their horses, formed, and rapidly advanced in a flanking movement you intended for me to make up the valley for half a mile, crossed over to the west, or battle side of the creek, proceeded a short distance up, and discovered the enemy upon the opposite bank. I charged across the creek, put the enemy to rout, continued up the valley something like a half mile farther, cutting off all the straggling and then flying Indians in that direction. I then turned to the left in a northwestward direction over the rocky hills and gorges that made into the larger gorge that was then in between Colonel Lane’s command and mine. Continuing this course, I crossed over five or six rocky hills, on three of which, behind the rocks, the enemy were in position in considerable numbers. My men gallantly charged in succession, putting them completely to rout It was during these charges that the brave and gallant Lieutenant Fitzhue and Thomas Arnold fell among the foremost in the fight. After going about 3 miles in this direction I came to the Cross Hollows. There the enemy were collected in large numbers. Dismounting my men, we poured a galling fire on them at about 125 yards distance, which finally dislodged them. From thence I proceeded in a westward direction, cutting off occasionally straggling Indians, until 3.30 o’clock p.m. The loss of the enemy by my command, as near as can be estimated by myself and others, is 70 killed; that of my own men, 15 killed and wounded, as follows, to wit: Company C, Lieutenant Smith commanding, E. V. Howell, mortally wounded in the head; John R. West, wounded in the wrist. Company D, Lieutenant Kelly commanding, Bugler J. B. Harris, killed; G. w. Coffman, wounded in breast. Company E, Captain Wharton commanding, William Spencer, wounded in breast; W. P. Wright, wounded in breast and arm. Company F, Sergeant Young commanding, James Green, mortally wounded, shoulder and wrist; Henry Ellis, wounded in leg; George w. Wilson, wounded in chest and arm; Leonard Sheffield, wounded in breast. Company G, Captain Ross commanding, Thomas T. Arnold, killed; J. H. Whittington, wounded in groin. Company H, Lieutenant Whittington commanding, First Sergt. R. H. Baker, wounded slightly in shoulder; A. M. Keller, wounded slightly in hand. Company K, Captain Throckmorton commanding, First Lieut. G. S. Fitzhue, killed. At 3.30 o’clock I started back to where the battled commenced, where I arrived at dark, bringing in 75 women and children as prisoners and 3 negroes and 80 horses, which are herewith turned over to you. To the brave and gallant Captains Ross, Hardin, Wharton, and Throckmorton, and Lieutentants Scott, Cummings, Kelley, Smith, and Whittington, and Sergeant Young I am much indebted for the success we had by their fearless charges in the front of their respective commands, which so signally routed the enemy from every point. I am indebted to Adjutant Gurley and Sergeant-Major Porter for their efficiency in transmitting orders, as well as for good fighting. Lieutenants Truitt, Vance, and Cannon, and every non-commissioned officer and private, for so nobly sustaining their officers, not only deserve my thanks, but the applause of their countrymen. Assistant Surgeon Bradford did good duty as a soldier in the ranks until his presence was required with the wounded, whom he has since constantly and skillfully attended. Before closing I must return my sincere thanks to Captains Ross, Wharton, and Throckmorton, and Adjutant Gurley for timely assistance when I was in imminent personal peril, and my gratitude to Providence for crowning our arms with victory. Lieut. Col., Comdg. Sixth Regiment Texas Cavalry. Report of Lieut. Col. Walter P. Lane, Third Texas (South Kansas-Texas) Cavalry, of engagement at Chustenahlah, Cherokee, Nation. I had with me the greater portion of five companies, to wit, Companies A, B, E, F, and G. To these were attached a few from other companies in the regiment, in all about 350 men. Company A was commanded by Sergt. R. B. Gause, Company B by Lieut. M. D. Ector, Company E by Capt. D. M. Short, Company F by Capt. Isham Chisum, and Company G by Lieut. O. A. Durrum. Our advance guard, in command of Captain Short, being fired upon by the enemy, stood firm until our force came up. It was at once evident that the enemy were in force and had taken a very strong position, protected and sheltered to a great extent by trees and rocks, with an open prairie in front of them. I was ordered to charge the strongest point of the enemy. When the regiments had taken the different positions assigned them the bugle sounded the charge. As we approached the foot of the hill the enemy opened a heavy fire upon us. No confusion was created by it in our advancing columns. Many of the enemy made for their stronghold on the top of the hill, where there was a natural breastwork of rocks, and fired over the rocks at us. Many of my men, without making any halt, gained the heights by the few narrow entrances on the side where it was alone accessible, while others dismounted and scaled the rock, and here for a short time a desperate struggle ensued. Many shots were fired when the contending parties were only in a few steps of each other, and in some instances they were engaged in a hand-to-hand struggle. Soon the point was cleared by us, and the enemy retreated in great confusion, some of them making a stand for a short time in the deep gorges and rocky defiles of the mountains. When we had completely scattered and routed those who had made a stand against us, hearing a heavy firing northeast, I oblique with my command in that direction, and joined Colonel Stone’s regiment, with which I co-operated during the remainder of the battle, going where, from the firing, we would be most likely to come up with the largest bodies of the enemy. We continued in the pursuit until one hour by sun in the evening. It is due to all those in command of companies to say that they deserve great credit for the manner they led their companies into the charge and for their conduct throughout the battle. The truth is, every officer and private in my command acted gallantly and to my entire satisfaction during the engagement. I am proud indeed that at such a time it was my fortune to command such men. When I consider the position occupied by the enemy, I deem it nothing but due to you to state that the battle was admirably planned, and was executed by the different commands in a manner calculated to reflect great credit on our arms. Report of Capt. William Gipson, Second Arkansas Mounted Rifles, of engagement at Chustenahlah, Cherokee Nation. SIR: I have the honor to submit the following report of the part taken in the battle of Chustenahlah by the battalion of your regiment under my command, composed of the following companies: My own, commanded by Lieutenant Scott; Captain Parker’s, commanded by Lieutenant Caldwell; Captain King’s, commanded in person; and Captain Flannagan’s, commanded by Lieutenant Callaway. In consequence of the companies being reduced by sickness and leave of absence, the whole number under my command amounted to only 130 men. On the morning of the 26th December, after marching 10 miles, we came in sight of the encampment of the enemy, between whom and our advance guard an animated fire soon ensued. In obedience to your order I took position in the center, Colonels Greer and Stone’s regiment on my right and Colonel Young’s regiment and Captain Bennett’s company on my left. At the command we charged the enemy, who were positioned at a distance of 200 yards in the timber, and firing upon us from the points of the hills and valleys between. After our first fire they fell back among cliffs of rocks. We then dismounted, again attacked them, and again routed them. Finding that we could not overtake them on foot, we returned to our horses and followed up the retreat for 2 miles. Coming in sight of them, we again charged and routed them. We followed up the retreat for 3 miles, shooting and cutting the enemy down all along the route. I estimate that we killed from 80 to 100. I had none killed. My own company: Private J.G. Humphrey, dangerously; Private W. C. Eppler, dangerously; Private M. G. Blaylock, wounded in the arm; Private Riley Nicholson, slightly. Captain Parker’s company: William McCarthey, wounded in the head. Captain King’s company: Joseph H. Bradford, wounded slightly; Robert D. Bolton, wounded slightly. Officers and men under my command fought bravely and did their whole duty. Senior Capt., Comdg. Bat. Second Ark. Mounted Riflemen. I beg to leave to state that on the day of the battle I had in my command 40 men, and that we formed in line for battle about 12 noon, and in a very short time made a charge on the enemy, then stationed about 300 yards distant, who instantly upon the charge being made fell back upon the opposite side of a ravine, covered with bush and vine, and on our approach to that point we received orders to dismount; but finding the enemy at such a distance, retreating and firing, I immediately ordered m company to remount and charge; but before reaching the base of the mountain the enemy had ascended its top and made a stand, and as we charged to the top of a steep and rocky mountain we encountered a very heavy fire from the enemy, about 100 strong. We ascended the mountain in good order, and made a desperate charge and at once put the enemy to flight. The enemy retreated in disorder. Occasionally from ambush or the cover of trees and rocks we received their deadly shots, and in this manner the conflict continued until we had completely routed them from the mountain, and then the first struggle ended, the company killing some 20 of the enemy and wounding some 9 or 10. The number killed in my company was 2 – Privates F. Lane and H. E. Wilson. One slightly wounded. A portion of my command, under Lieut. I. H. Wright – whose gallantry on the occasion deserves praise – continued the pursuit some 7 or 8 miles, killing and wounding several more. It gives me pleasure to state that my small command did battle with a courage and heroism scarcely equaled. The engagement on the 26th continued some three or four hours For such a signal and glorious victory the highest praise is due our gallant commander. of skirmish with Creeks and Seminoles. GENERAL: In my report to you in regard to the captured property taken at Chustenahlah I should have stated that 190 sheep were turned over to the commissary, Captain Lanigan, at Fort Gibson. Since writing that communication I have received a report from Colonel Watie, commanding Cherokee regiment (who I left behind to collect the stock taken from the Indians), stating that he brought back with him between 800 and 900 head of cattle and 250 Indian ponies. Colonel Cooper, who marched with his command of Indians over the ground two or three days after the battle, also found a number of cattle, which were secured. All this property is in addition to what I have hitherto reported. Colonel Watie also reports that on his return to Grand River from the battle-field, he having ascertained that a company of Cherokees numbering 50 or 60 were near his camp, making their way northward, with arms in their hands, sent two companies to arrest them. In endeavoring to accomplish this 1 Cherokee was killed and 7 made prisoners. Their wagons and some of their arms fell into the hands of Colonel Watie. From an officer just in from Colonel Cooper’s command I ascertain that Hopoeitheyohola has gone to Kansas, and has not more than 400 or 500 Creeks with him. Many of the Indians who espoused his cause have left him since the battle, and are now anxious to come in and make a treaty. As we have made them entirely destitute, I think all but Hopoeithleyohola’s immediate followers will come in. Adjutant-General C. S. Forces, Richmond, Va.
On Shoal Creek, December 28, 1861. COLONEL: In the march upon the enemy yesterday the force under my command had proceeded some 20 or 25 miles when my scouts, under Captain Coody, reported the enemy in considerable force on the hills to my left. I immediately left the route you were pursuing and took my command to the place where the enemy had been seen. They had discovered my approach and retreated to strong positions among the hills and mountain gorges. I placed about half of the command under Major Boudinot, directing him to go to the left, while I took command of the rest to the right. The enemy was scattered over a large scope of country, much of it inaccessible to horses, but my men attacked the enemy wherever found, never failing to route them from their strongholds. The fight continued with intervals for two hours or more. What is quite remarkable, none of my men were either killed or wounded. According to the best estimates I can make of the loss of the enemy, it could not be less than 9 or 10 killed. I cannot tell the number of wounded, but I have reason to think it quite small. This estimate does not include the killed of the enemy by the force under Major Boudinot, whose report of the doings of his command is herewith respectfully submitted. Captain Jumen and Capt. Joe Thompson commanded the part of the force which I took charge of. The officers and men of their companies behaved with signal gallantry. Shoal Creek, December 28, 1861. COLONEL: In obedience to your order I took charge of the left division of the force under your command in the attack made upon the enemy yesterday. The enemy were seen upon every hill and in every valley, and according to the best estimate we could make of their strength they must have numbered from 500 to 600 warriors. They made no determined stand, but were driven by our soldiers from point to point. Every man seemed anxious to be foremost, and the charges made upon the enemy over rocks, mountains, and valleys – the roughest country I ever saw – were made with the utmost enthusiasm, and with irresistible impetuosity. Although the firing was brisk and rapid for an hour and a half, with intervals of following the enemy from one position to another, none of the men in my division were killed or wounded. The killed of the enemy it is impossible to estimate accurately, as the skirmishing was over so much ground, so I give only the number which I am sure were counted, which is 11 killed; the wounded unknown. The companies in the left division were commanded by Captains Bell, Mayes, Parks, and Coody, who all distinguished themselves by their daring and gallantry, as did also every officer and soldier in the command. You yourself had charge of the remainder of the force. We took some 75 prisoners, together with 25 or 30 pack horses, which afterwards were released by your order. It is due Colonel Taylor to state that when you gave me the command of the left division he was thought to be in your division, and after I discovered him in mine I yielded to his superior rank, and gave no orders but what were concurred in or first given by him. Col. STAND WATIE, Cherokee Regiment. We camped on the night of the 24th sixteen miles from Bird’s creek in a strip of woods surrounded by prairie. The Indians made their appearance of about 400 strong, on the open prairie north of us late in the evening. 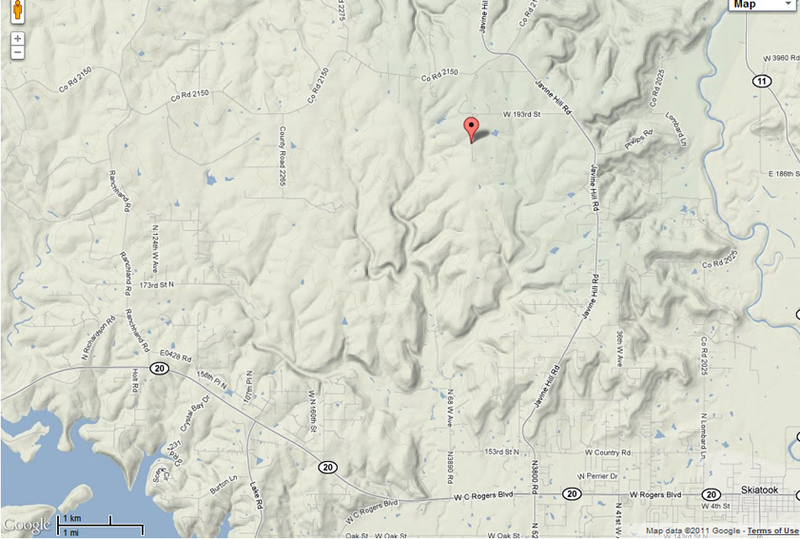 About 11 o’clock on Christmas day we came in contact with the outpost just south of Bird creek. They were quickly dispersed-in fact, leaving their post before we got in shooting distance. Crossing Bird creek, they joined their main fighting force, then occupied the mountain peak and cedar brakes. They were formed along the ledges of rocks and cedar breaks with their war paint and costumes on. Making all sorts of noises, such as crowing, cackling and yells of all sorts, they began firing on us as we were moving in line north of the creek. Col. Walter Lane, one of the oldest and best Indian fighters on earth, without waiting orders to advance, had his gallant little bugler, Charlie Watts, to sound charge; and as on[e] man Col. Lane led our boys to the assault. The Indians were scattered in full retreat. We followed them in a running fight and would have killed most of them had it not been for the splendid tactics practiced by them. These mountain spurs, covered with huge rocks and cedar breaks, were interspersed with narrow gorges covered with broom sedge almost as high as a man on horseback. The Indians would retreat across the gorges and prepare to fire the sedge at a given signal. All along our front flames would sweep rapidly over the gorges, and we were in the midst of it. We would have to retreat, and there we would have to wait for the fire to cool down before we could advance. We had about 50 killed and wounded. Among the wounded was Maj. George Clinton a very gallant officer. We had captured 300 women and children and one wounded warrior. It is estimated that they left from 275 to 300 dead on the field. Their pickets were out in front of their main army, but after firing a few shots retreated to the main army on the heights, a splendid position, fortified by standing trees and elevated perpendicular rocks, with an occasional opening. They were not expecting a charge on their strong position, but McIntosh formed us in line, ordered to dismount, leaving every 5th man to hold horses, charge double quick and take those heights. The Indians were slow in leaving and continued to give us a battle as they retreated. This continued for several miles, until we arrived at their camp. They fled leaving their wagons, oxen, sheep, ponies, provisions, their women and children and 21 Negroes in our possession. We only captured one warrior and he was wounded. We killed 200 Indians but lost 50 men. We turned everything we captured over to Gen. Cooper except the Negroes, which we took with us. Part of the Chustenahlah battlefield as it exists today. Note the mountain in the distance. There has been more than 40 of this regiment died of disease while there hasn’t been but 5 killed and 12 or 15 wounded in our late battle on the head waters of the Vertigres [Vertigris] River, called the battle of Chewstinella [Chustenahlah]. After cooking 4 days rations on the night of the 25th we set out on the morning of the 26th, while one of the coldest northers I ever felt came full in our faces. After traveling 12 miles we crossed a large creek and directly after we saw a large smoke. We hadn’t gone more than 20 yards before we heard a gun fire towards the van of the army and then 3 or 4 and then 15 or 20 and directly 300 or 400 along a line of something near ¾ of a mile. Col. Griffith was ordered to the right, to dismount and charge the hill on foot while Col’s Lane and McEnthosh’es [McIntosh] Regt’s charged gallantly on horseback while we charged through the creek about 1 ½ inch water and ice and the same in mud, but we got to the top of the bank on the opposite side form where we started. Our Col. saw that we would not get into the fight on foot so he took the responsibility of ordering us back to our horses. So we charged through the creek again and got back to our horses. The other Regts had got the start of us and were likely to gain the laurels of the day. By moving to the right and charging another hill we got the lead and killed about as many as Col. Greer’s & Youngs and than the Arkansawyers did. One thing I forgot to mention, that while we were forming the Indians were barking like a dog howling like a wolf & yelling and gobbling like a turkey. As we went up the mountain after them, they slapped their sides and gobbled like turkeys. We killed some of them and routed the others and captured about 300 fine beeves and camp equipment, besides their women and children. We turned the women and children over to Col. Cooper. Old Gouge, all our family join up with him and there was lots of Creek Indians and slaves in the outfit. The runaways riding ponies stolen from their master. When we get to the hilly country they make amp on a big creek and the Rebel Indian soldiers catch up but they was fought back. Then long before morning lighten the sky get on the move farther. About the time they ready to ford another creek the Indian soldiers catch up and the fighting begin all over again. We try to fight off them soldiers like they done before, but they get scattered around and separated so’s they lose they burn Prairie. Pvt. E. V. Powell and Bugler J. B. Hams, Company D; Pvt. James Gwen, Company F Lt. Thomas Arnold, Company G; Lt. G. S. Fitzhugh, Company K, Sixth Texas Cavalry CSA¸were killed in action. Pvt. G. H. Coffman, Company D; Pvt. W. P. Wright, Company E; Pvts. Henry Ellis, George Wilson, and Leonard Sheffield, Company F; Pvt. I. H. Whittington, Company G; 1st Sgt. R. H. Baker and Pvt. 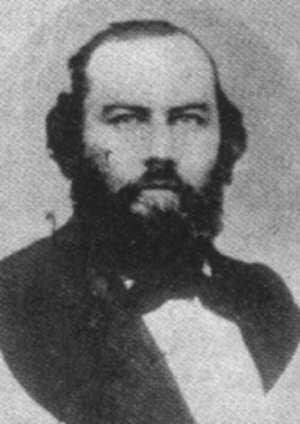 A. M. Keller, Company H, Sixth Texas Cavalry CSA, were wounded in action. From Greer’s Texas troops, Lt. Eckin was killed in action, and Maj. George Clinton was wounded.